Inspired by the success of it\'s sister building Ocean One, Ocean Two has been designed to deliver South Florida\'s premier lifestyle. Nestled between the Intercostals Waterway and Atlantic Ocean overlooking 500 feet of picture perfect beachfront, Ocean Two embraces all the most sought after features of Ocean One. Amazing unit 2 Bed + 2.5 baths. Professionally decorated. Unobstructed views. Only used as a vacation home. Best building on the beach in terms of management and maintenance. Currently undergoing complete renovation of common areas. Furniture negotiable. Ready to go !!! Ocean Two! Rarely available Lanai Unit with spacious outdoor private patios. Feels like your own private family home on the beach, but with all the luxury condominium amenities. Light and spacious 2 bedroom, 2.5 baths, total of 1,800 sq.ft plus balconies. Marble floors in the living room and wood floors in all bedrooms. Amenities include state of the art fitness center, beachside restaurant, 2 tennis courts, spa, pool and Jacuzzi, full beach service, concierge, valet parking, children's play room and dog park. Building common areas recently renovated, tastefully designed by Steven G. Interiors. Conveniently located near shopping, restaurants and houses of worship. Pet friendly. A+ schools. Seller Financing available. Call for details. BEST PRICED! Ocean Two Condo in Sunny Isles Beach with stunning direct Ocean, flow-through unit with two balconies featuring panoramic ocean, intracoastal and city views. 2 bedrooms+den/2.5 bathrooms Modern eat-in kitchen, formal dining area and separate laundry room. One of the best Ocean Front Condos in Sunny Isles. Unique beachfront oasis with all the amenities of a major resort-tennis, beachside restaurant, spa, gym, exercise classes, pool, dog walk area, child's play room, billiard & recreation room, 24- hour security and valet. Building common areas recently renovated, tastefully designed by Steven G.
Breathtaking panoramic views of the ocean from every room in this stunning 3/4.5 unit. Stunning turnkeyresidence in the prestigious and luxurious Ocean 2. Floor-to-ceiling windows, white porcelain floors, high-endfinishes. European cabinets, stainless steel appliances and granite countertops. Gorgeous upgrades throughout,extra large master bath with built-in makeup vanity, and exquisite wall finishes throughout the unit Superioramenities including a fabulous lobby, 24-hr valet, concierge, security, state-of-the-art fitness center, healthspa, gorgeous swimming pool & more! Breathtaking Direct Ocean & Intracoastal Views! Gorgeous Marble floors through out entire unit. Superior amenities including a fabulous lobby, 24-hr valet, concierge, security, state-of-the-art fitness center, health spa, gorgeous swimming pool, tennis courts, valet service, restaurant and more. OCEAN TWO, beautifully Appointed corner, (ab.2700sf) Residence with private Elevator and Foyer Entrance. Ocean & Garden Vista View. This 2d floor apartment is like 4th level, due to elevated pool deck and only line in the Bldg where Kitchen is on East side, overlooking ocean beach. Split level Bedrooms with His and Hers Master Bathrooms, Marble floors all over, new AC w/ultra violet air purifier. The Ocean beachfront Oasis with superior Amenities include a stunning renovated Lobby, Lifestyle Center, Kids Play Room e.c. by Steven G Interiors. State-o-the-Art 2 story Gym with ocean view, Health Spa, Massage room, Game aria, 2Tennis Courts, Restaurant, Dog Park, 24 hour Valet & Security, Concierge, Beach & Pool Service, complimentary Fitness & Dance Classes, e.c. Best value for the price!! 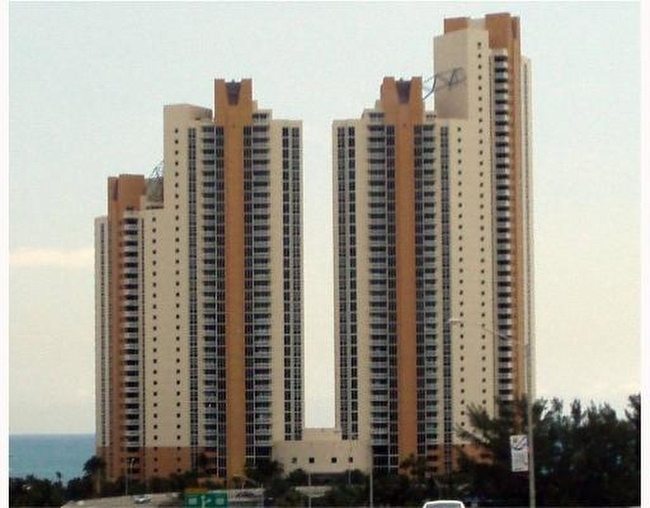 Ocean Two spacious 3 bed/ 4.5 bath, 2440 sq ft flow through unit with direct ocean & city views. Unit offers Upgraded kitchen, Marble & Wood flooring, Private elevator entrance, exterior laundry room, large closets and plenty of storage. Building interior common areas recently renovated by Steven G. Amenities include 24 hour front desk, valet and security. Pool and beach service, concierge, spa with steam and sauna. Two story gym, lifestyle center, massage & game room, childrens play room, two tennis courts, restaurant and dog park. Building common areas recently renovated by Steven G.
GREAT OPPORTUNITY AT OCEAN TWO LOWER PENTHOUSE LPH 5 FACING EAST & WEST FLOW THROUGH MODEL LOCATED IN ONE OF THE MOST EXCLUSIVE COMMUNITY ON THE OCEAN IN SUNNY ISLES BEACH. INCREDIBLE OCEAN INTRACOASTAL & CITY VIEW FROM EVERY ROOM AS WELL AS SUNRISE & SUNSET VIEWS. 3 LARGE BEDROOM /4.5 BATH ,MARBLE & WOOD FLOOR ALL BUILT -IN-WALK-IN CLOSETS ELECTRIC SHADES WINDOW TREATMENT LARGE OPEN BALCONIES PRIVATE ELEVATOR GREAT AMENITIES FULL BEACH AND POOL SERVICE, TWO TENNIS CT , BILLIARD ROOM ,BEACH CAFE TERRIFIC LOCATION NEAR BY AVENTURA MALL SHOPPINGS AND RESTAURANTS . COMMON AREAS UNDERGOING COMPLETE RENOVATION EASY TO SHOW ! HUGE LANAI!!! DESIRABLE 04 LINE LANAI IN THE OCEAN TWO CONDO IN SUNNY ISLES. MAGNIFICENT 3BR/4.5BA UNIT OFFERING 2440 sq ft INTERIOR PLUS 600 sq ft BALCONIES. DIRECT OCEAN VIEWS AND CITY VIEWS FROM THIS EAST AND WEST FLOW-THRU UNIT. AUTOMATIC SHADES AND BLACKOUTS! BRAND NEW AC. PRIVATE ELEVATOR. SEPARATE LAUNDRY ROOM. TWO TENNIS COURTS, RESTAURANT, BEACH, POOL SERVICE, TWO STORY GYM w/OCEAN VIEWS, PET FRIENDLY, FULL SERVICE LUXURY. BUILDING IS UNDER RENOVATION BY STEVEN G AND ALL ASSESSMENTS PAID. Amazing opportunity in Ocean Two Condo - Sunny Isles Beach. Spacious 3 Bedroom / 4.5 Bath, 2440 sq ft interior plus two large balconies with sunrise and sunset views. Private elevator foyer entry, separate laundry room, eat-in kitchen. Master Bedroom has two large walk-in closets and two bathrooms. Interior common areas currently under renovation by Steven G.Designs. Special assessment has been paid. Perfect time to buy in Ocean Two! Amenities include restaurant, beach and pool service, heated pool, hot tubs and spa with sauna and steam. Billiard room, massage room,concierge services, 24 hour front desk, valet and security. Two story gym, two tennis courts, kids playroom and dog park. Ocean Two Condo in Sunny Isles Beach offering 3 Bedrooms and 4.5 bathrooms with stunning Ocean Views! Spacious, modern & bright condo w/ 2440 sq ft interior plus two large balconies with sunrise and sunset views. Marble and wood floors throughout. Modern, bright & spacious unit. Private elevator foyer entry, separate laundry room, eat-in kitchen. Master Bedroom has two large walk-in closets and two bathrooms. Interior common areas recently renovated by Steven G. Designs. Perfect time to buy in Ocean Two! Amenities include restaurant, beach and pool service, heated pool, hot tubs and spa with sauna and steam. Billiard room, massage room,concierge services, 24 hour front desk, valet and security. Two story gym, two tennis courts, kids playroom and dog park. *Spectacular Oceanfront* Unobstructed ocean and intracoastal views with 2 balconies, one Facing Ocean & One facing Intracoastal & city views. , This 1,900 sq feet condo has a gorgeous den facing the ocean that can be used as an office or guest room , Marble floors throughout the entire unit. ,Oceant Two is a Full Service Building with all the amenities of a major resort-2 Tennis courts, Restaurant, Spa, Gym, Exercise classes, Pool,and more located in the highly famous Sunny Isle Beach. OCEAN DIRECT, Corner Residence with private Foyer entrance offers Ocean & Garden Vistas. Split level Bedrooms w/plush bed mattresses, His and Hers bathroom, Marble floors, new AC with ultra violet air purifier. The Ocean Two beachfront Oasis with superior Amenities include a renovated Lobby, Lifestyle Center, State-of-theArt 2story Gym, Helth Spa with Steam and Sauna, Massage and Game rooms, Childrens' Play room, Tennis Courts, Restaurant and Dog Park, 24 hour Valet and Security, Concierge, Beach and Pool services, complimentary Fitness and Dance Classes, e.c. BEAUTIFUL AND TOTALLY FURNISHED SPACIOUS UNIT WITH BREATHTAKING VIEWS OF THE OCEAN AND INTRACOASTAL, AMAZING SUNSETS AND EASY ACCESS TO THE MAIN ROADS. BEST LOCATION!!! !